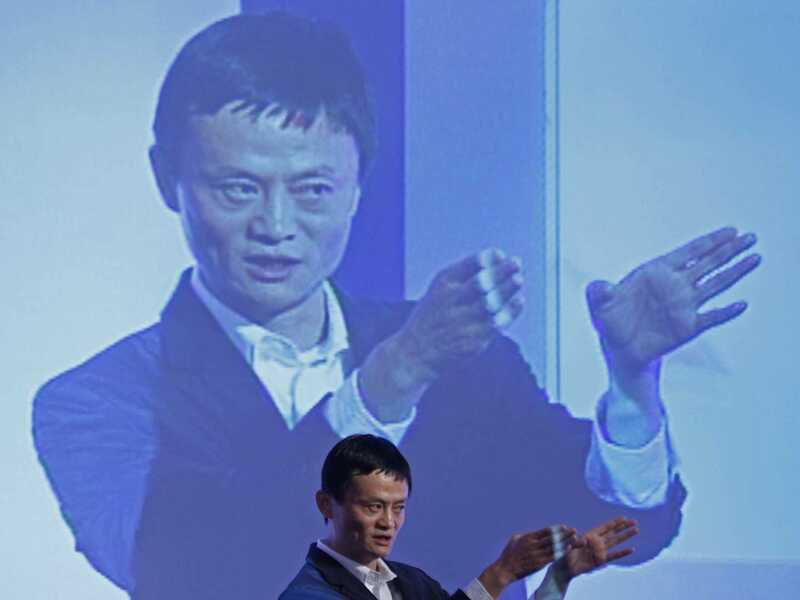 AP ImagesAlibaba CEO Jack Ma. Alibaba just reported its first quarterly earnings since going public, and shares of the company are rallying to new highs. The $US250 billion Chinese e-commerce giant reported earnings per share of $US0.45 on revenue of $US2.74 billion. Expectations were for the company to report earnings per share of $US0.45 on revenue of $US2.61 billion, according to data from Yahoo Finance. In premarket trade Tuesday following the results, Alibaba shares were up as much as 4% to a new high of more than $US106 per share. On a year-over-year basis, Alibaba reported non-GAAP net income that rose 15.5% to $US1.11 billion. Alibaba said the gross merchandise value transacted on its China retail marketplaces in the quarter was $US90.5 billion, up about 49% from the previous year. This was composed of $US61.9 billion on its Taobao marketplace, up 38% from last year, and $US28.6 billion on Tmall, a nearly 78% increase. The company said this growth was primarily driven by an increase in number of active buyers. Alibaba is set to host a conference call to discuss its results at 7:30 a.m. ET. You can read the full release from Alibaba here.